If it ain’t broke, don’t fix it. And this is a point not lost on Audi with its second generation A4 Allroad. Based on the latest A4 estate, or Avant in Audi-speak, this latest Allroad delivers an impressive mix of refinement with some half-decent off-road capability, thanks to its raised ride height and tough-looking exterior cladding. 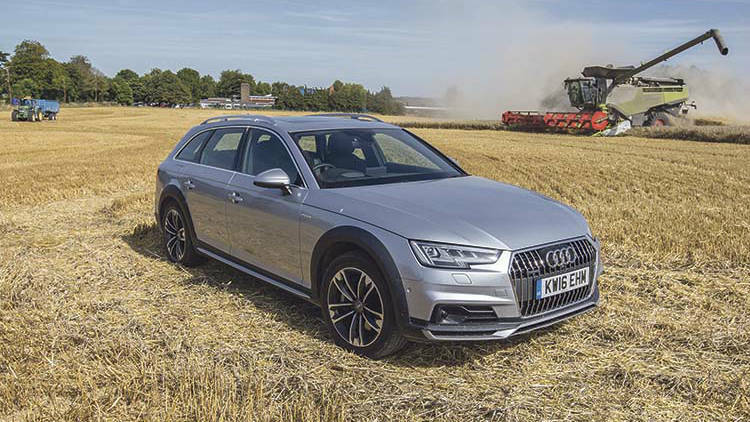 It has become a proven formula, and while the A4 Allroad is not a serious off-roader, it is a worthwhile compromise between a full-sized 4x4 and practical estate car. With 34mm of additional ground clearance over the standard A4 – enough for most occasional forays across uneven ground – this model benefits from an Allroad mode to simplify the way traction is delivered when you get off the black stuff. You do get softer springs with longer travel and higher profile tyres than the regular A4 estate too, so comfort comes before agility. On the road, it leans much more towards wafting cruiser than pin-sharp sports car. Which makes it easy to enjoy the smooth ride. Load space is improved over its predecessor. Our test model’s 272hp 3.0TDi is the pinnacle of oil burning performance in the range. This impressively smooth and refined power unit is coupled to an eight-speed automatic transmission with Quattro permanent four-wheel drive, and as you would expect, it glides through ratios with an almost imperceptible manner. But there is lag between prodding the throttle and getting a response and it is something you become more aware of when you want to take off from standstill. Eighth gear delivers frugality, as it lets the engine turn just 1,000rpm at 50mph, for a combined fuel efficiency figure of 52.3mpg. There is a huge slug of torque available from 1,500rpm to 3,000rpm, and with such grunt to enjoy, 47mpg was my best and 40.1mpg my average, over a week’s motoring. Behind the wheel, the A4 Allroad driver faces a myriad of buttons, functions and commands. And like its SUV stablemate, the Q7 (see our review), the Allroad can be as complex or as straight-forward as you make it. Interior oozes quality, though buttons and screens could lead you to consult the manual. The virtual cockpit – a £450 option – forms the basis of the car’s instrument panel, replacing analogue dials with a computer-generated display. You can swap between classic dials or an expansive infotainment view which shrinks dials and fills the 312mm space with navigation mapping, phone, radio or car data. And an 8.3in screen also sits on top of the dashboard, duplicating a lot of information. A rotary controller in the centre console lets you interrogate the multimedia interface system, and its surface is a touch-type pad, letting you input letters or numbers to shortcut the system. 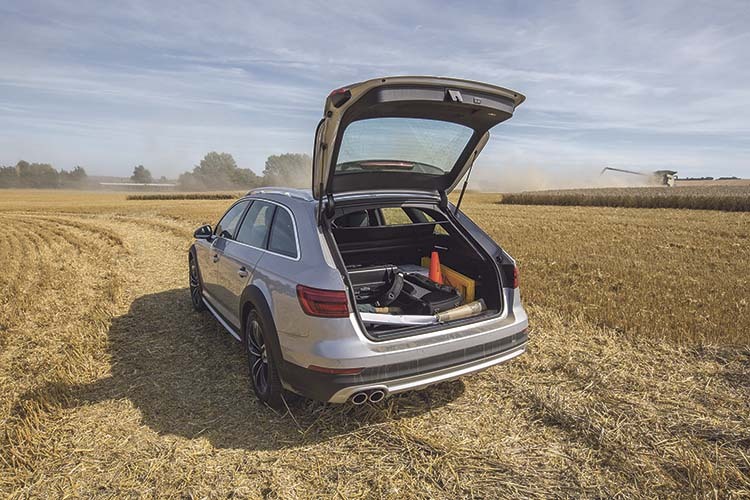 With more useful internal space and load carrying ability than the previous version, there is little to dislike about the new A4 Allroad, and few estate cars can fill its muddy boots.